The Fruita Monument volleyball team is without the skills of many talented players from the class of 2018. Now, the team has new faces, new talent and a whole new outlook for the game. 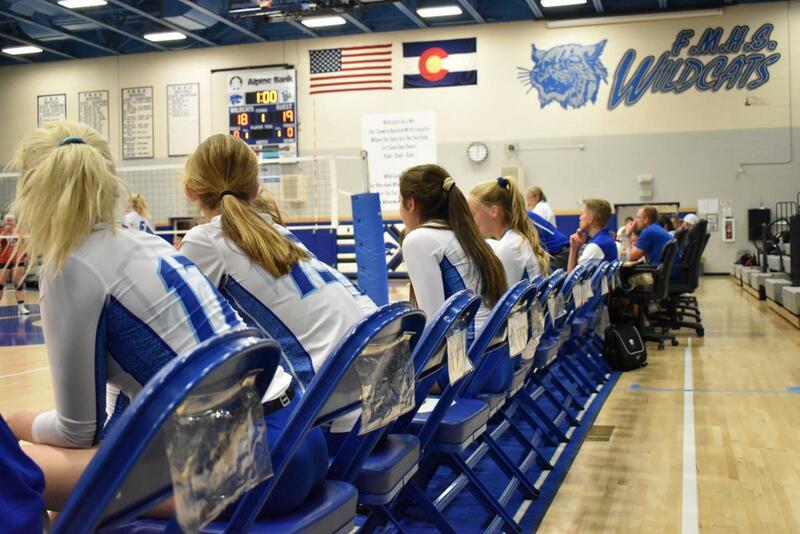 The Fruita volleyball program attracts some of school’s the brightest athletes every year, so it’s no doubt that even after a loss of 8 seniors from 2018, there’s 6 more from the next class ready to take control. The predictions for this season have been varying from confidence that the team will stay solid to worries about the competitiveness of the new class. That being said, the new team isn’t concerned with the doubts, and are focused solely on maintaining their standing as one of the highest ranked teams in Colorado. They’ve jotted down their goals at the beginning of the year and are now working towards them as a team. Even though there is still some speculation about the team with the loss of so many players last year, the Wildcats are not scared of a little ambiguity. “Sure, we’ve had to change some lineups up and switch a few positions to accommodate to the new team, but it’s nothing too complicated for us and we’re still as competitive and talented as ever,” said junior setter, Sarah Mahoney. The volleyball team adjusted quickly to the new team dynamic and is currently 7-2 and 1-0 in league, only losing in fighting sets to 5 games and never giving up a single point. However, despite the ambitions of the FMHS volleyball girls, there have been some setbacks that the team has had to overcome already in the season. “We lost two big hitters to injuries and our libero [Morgan Laing] to a concussion, and that’s three upperclassmen not playing, and that’s definitely been a hard issue that we’ve had to surmount.” Mahoney admitted. “But luckily they’re all slowly coming back to games and benefiting both our offense and defense. I think that since we are a smaller team, we all know that we play a very important part on the team and even the girls coming back from an injury are playing tough and working hard so they can get back in the game while we adjust to their absence and learn how to keep playing with anyone on the court.” The Fruita Monument high school volleyball team has had many challenges to face so early in the season, from doubts in their ability to multiple injuries in some experienced players, but they’ve faced all of it with adversity and a hunger to demolish the doubts about their talent as compared to previous years. The team is eager for a very exciting and successful season, hoping to create a few upsets in the overconfidence of the teams on the other side of the mountain, as well as planning on winning league and going to the playoffs for state, just as they did last year. It’s easy to say that with the mindset of this team, (along with their talent, athleticism, and drive,) faculty, fans and students alike should expect a great season from the Fruita varsity volleyball team.